Caroline and James were married outdoors at Lillibrooke Manor and they had a funfair themed wedding. 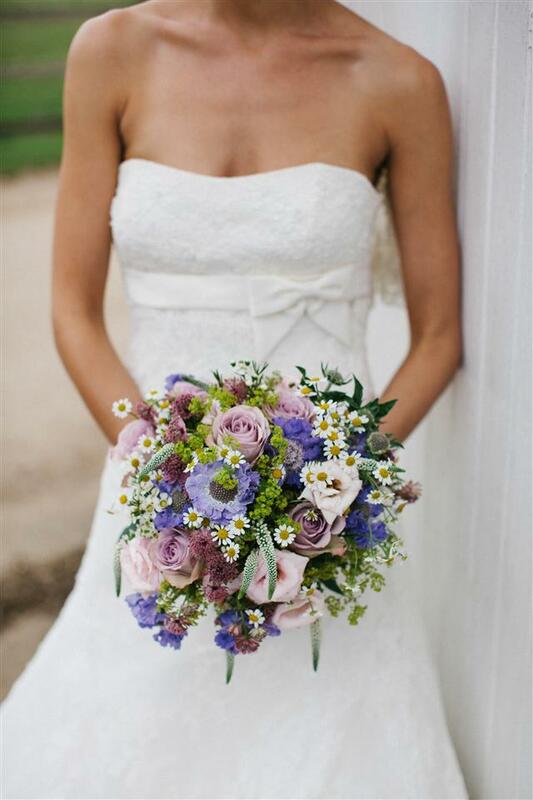 The flowers were a rustic mix of cottage garden flowers, in a variety of differnt colours. 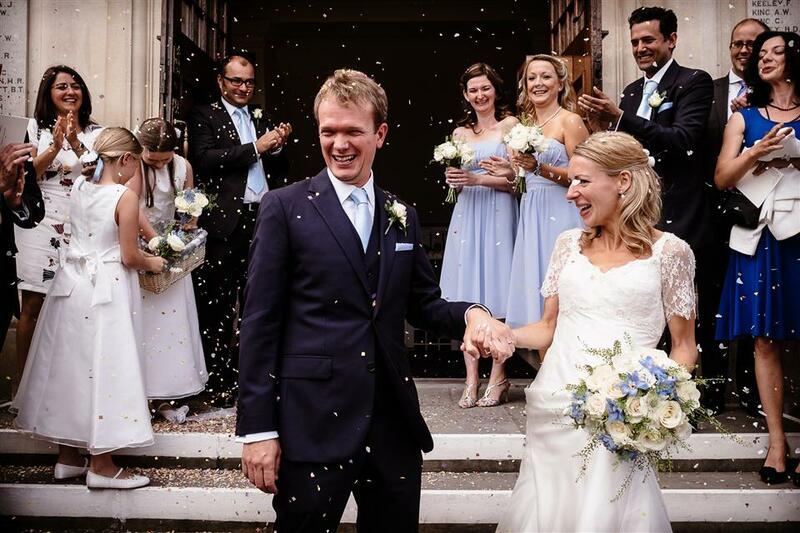 Kate and Laurence were married at Henley Town Hall in August this year, and their reception was held at the stunning Greenlands. Kate wanted the bridal flowers to include a very pale blue to match the bridesmaids dresses, so we used a beautiful pale blue delphinium. The table centres at Greenlands were to be a complete contrast using a bright and colourful mixture of flowers. Kirsty and Steve’s wedding at the Mansion House, Wokefield Park. 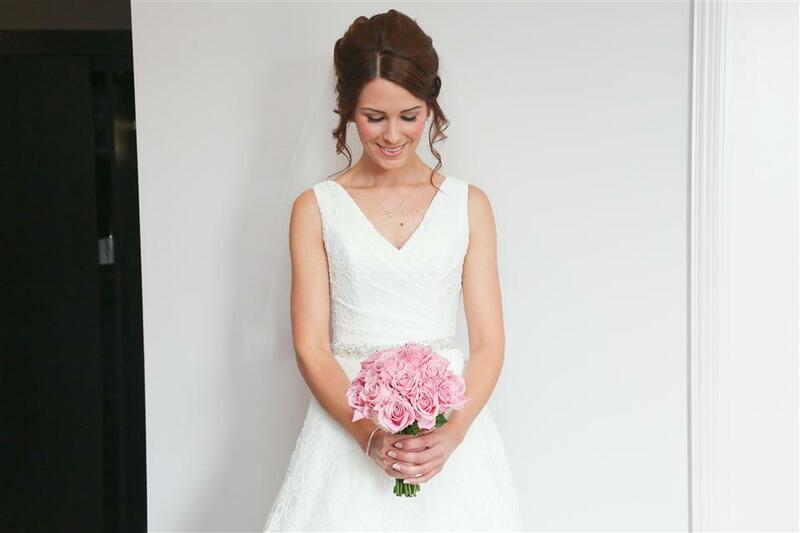 Kirsty chose a beautiful and simple bouquet of dusky pink Keano roses. I’m sure you’ll agree she looked stunning.